There is something alluring about the Roaring Twenties in spite of my knowledge about how the era comes to a crashing end as The Great Depression ravages the country. The calm before the storm is full of glitz, glamor, short skirts, and challenges to tradition. The flapper arises and the speakeasy flourishes. Everyone wants to live on the edge and experience euphoria as much as possible after the devestation of The Great War. 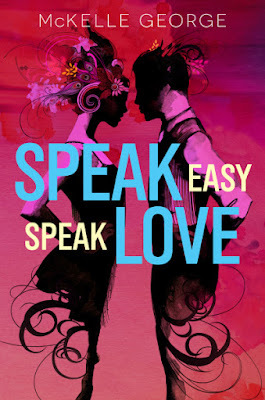 This setting is a time of transition and hope which on its own would make for an addictive sort of read, but coupled with the fact that its inspired by Shakespeare's Much Ado About Nothing (one of my favorites! ), I found it hard to resist reading just one more chapter each time I sat down with this novel. Like the play, the story largely centers around the relationship between Benedick and Beatrice. In this reimagining, Benedick is good friends with Prince and Hero. He is from a new money family, but he has no desire to work to keep the family accounts flooded with income. Instead, Ben, as he is often called would much rather earn his keep by writing stories on his precious typewriter. A quarrel with his father leads Ben to abandon his spot at prestigious school in New York City before sitting for his exit exams in order to fly to the countryside with his friends and try his hand at being a writer. Beatrice has been reimagined as a wickedly smart young woman who craves the chance to study medicine. She knows a great deal about the human body, car engines, and marksmanship - far more than a young lady should know. After money trouble sends her home from school before she can finish, she finds herself seeking assistance from her Uncle Leo and her cousin, Hero. This decision will put her on a collision course with Ben that will have epic repercussions. While the characters and scenes have evolved to fit the time period, for example, Leo doesn't own a vineyard, but rather a speakeasy, I found that sinking into this story felt like spending time with an old friend. We hadn't seen each other in awhile and we both look a bit different from our last meeting, but essentially we are the same as we were when we first met. 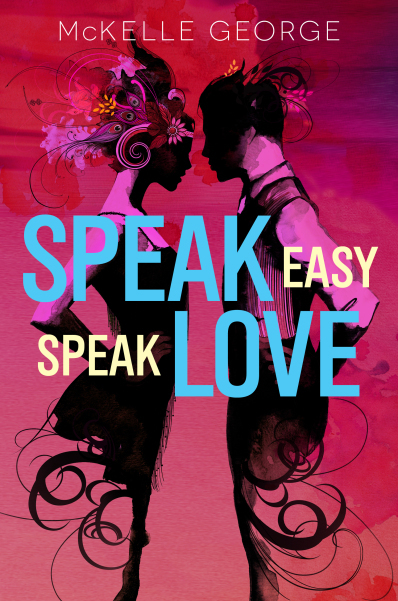 Speak Easy, Speak Love is full of 1920's adventure (including gun battles with bootleggers) and swagger. I can only predict that good ole Will would be quite pleased with the banter between Ben and Beatrice as well as the romance swirling in the air. This novel kept me reading while chuckling on more than one occasion and daydreaming about flapper dresses. I seriously hope that McKelle George will pen some more old favorites with intriguing historical backdrops. One Last Gripe: I didn't love Hero in this version as much as I liked her in the original. First Sentence: Benedick Scott was on his way to freedom or profound failure or, if the usual order of things held up, both.